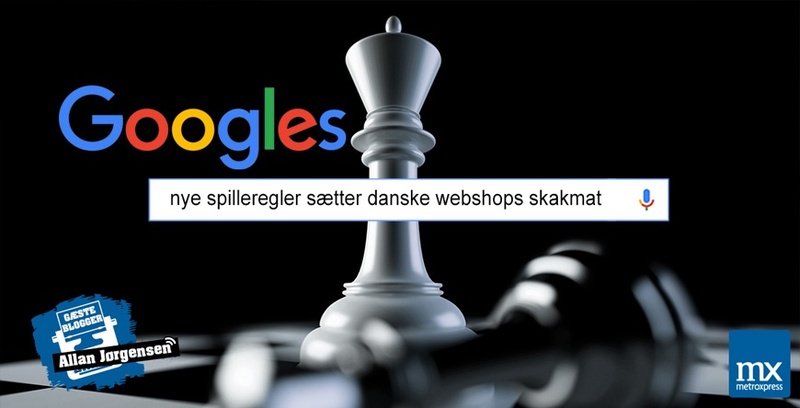 Google risks checkmating several Danish webshops in a few months. On February 14, 2017, they will introduce the requirement that all online products need to be provided with a so-called GTIN number. Without a GTIN number, the products will disappear from the popular Google Shopping which may have significant consequences for sales. Solving this problem might unfortunately be more tricky than what might be assumed to begin with, so here we present a review and useful guide for Danish bureaus and webshop owners. Barcodes are taking on cyberspace. You know them from the stores. Long, black lines of different thickness. “Beep”, it says, and your item has been scanned. But it never goes beep when you shop online. There is no shop assistant to do the scanning. So why in the world are we now to add barcodes in our online shops too? We have to do this partly because Google says so, partly because the leading players on the internet of the future love information. The more information they have, the better their search engines and services are. The barcodes or numbers that will be added are also called GTIN/EAN/ISBN numbers. Google extracts the numbers from your webshop through a so-called product feed and transfers them to Google’s service (and through that, advertising). As a rule, from your CMS system, but these numbers are often not available in most webshop systems today since considerably many haven’t used them on their online platform. The good news is that these barcodes simply need to be added. The bad news is that it is not just a matter of a single number, but many. A lot, actually. For the majority, it will be an immense and complex task to fully live up to Google’s new requirements. That is, to add the numbers to all products manually. Add to that the fact of having to manage new products, variants of products etc. For that reason, it is crucial – like with so many other things digital – to make the complex simple. You need to make sure that the system that manages your products communicates with the system that manages your webshop. There has to be a data extract that can turn into a product feed which finally becomes intelligible for Google. There are multiple solutions and ways this can be done. Personally, I use WakeupData. This method makes the integration and communication between different systems proceed according to plan. This ensures that you can match your existing product data/feed with one or more extra ones which have EAN numbers already. This way, you can supply Google with data in the right format. There are other solutions such as coding it yourself or manual configuration, but the most important point here is that you are now aware of this challenge, and you need to deal with it before February next year. If not, your system will not be on speaking terms with Google’s system, and the looser in that conflict is you and your revenue. Allan Jørgensen is a serial entrepreneur with digital business development and marketing as his areas of expertise. Founder and partner in among others Web2Media which is an award winning Danish company advising on strategic and operational digital marketing. Allan has started four companies and has been active in multiple other start-ups in the digital domain. All of the companies and start-ups have an international focus in highly competitive environments. Currently, Allan counsels other companies in terms of digital business development and marketing. In addition, he gives talks on digital marketing and trends, nationally and internationally, such as business insight, digital business development and optimization, relations between digital marketing and offline advertising and more.